As a business it is very important for you to give your brand a leg up on the competition. 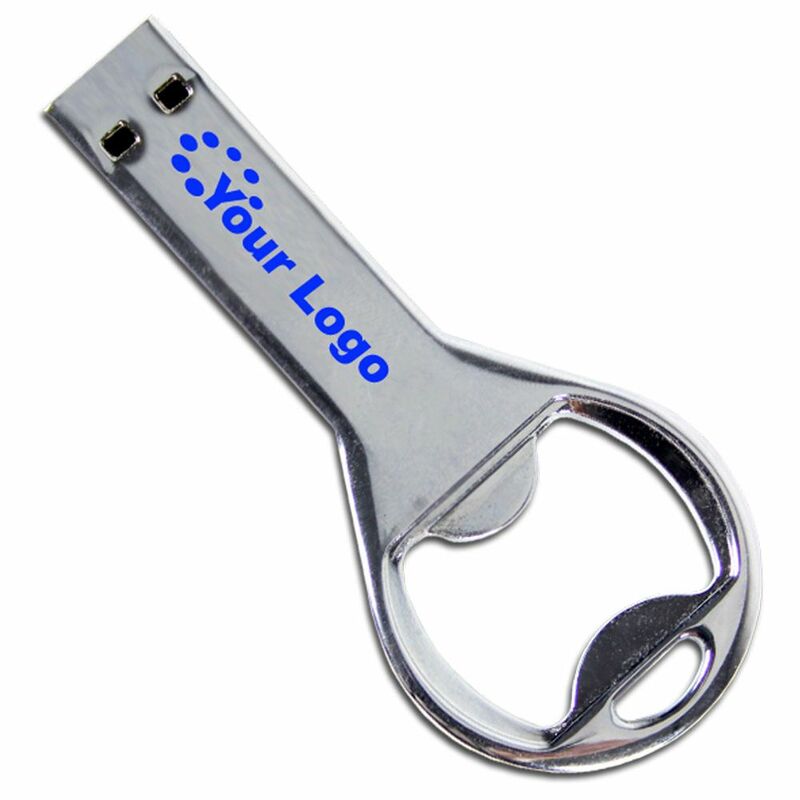 Stand out in the minds of your customers with this creatively designed bottle opener USB drive. Give your customers a promotional tool that they can actually use. Reach out to younger customers with something that they will love and that will ensure that they will remember your business. 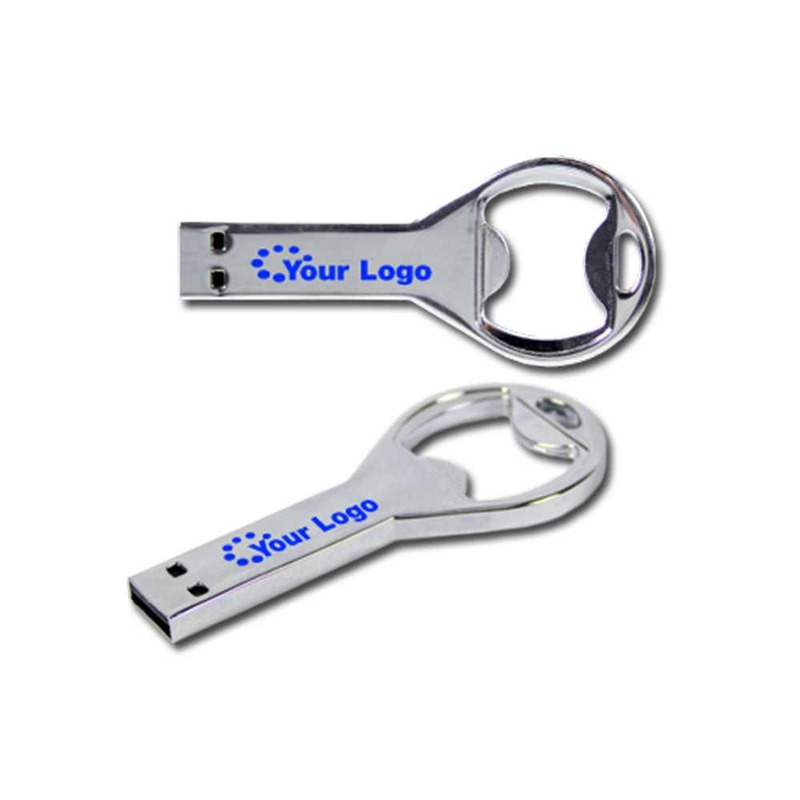 This bottle opener and USB drive is the perfect promotional tool for your company, restaurant, and bar. Imagine you're at the local park attending the 5th Annual Music Fest. It's the perfect day to a relax, listen to some live music, and have a few beers. There's a new brewery in town selling a few of their beers by the bottle. You decide to take a chance instead of going with your usual safe choice. They hand you a cold bottle and the Brewski Bottle Opener USB flash drive with their logo on it. Oh a freebie! You crack open that ice cold beer with and you haven't been without it ever since. Later that evening you plug in the USB drive and to your surprise it is full of music from the music festival. Not only that, but there's a link to the breweries website. 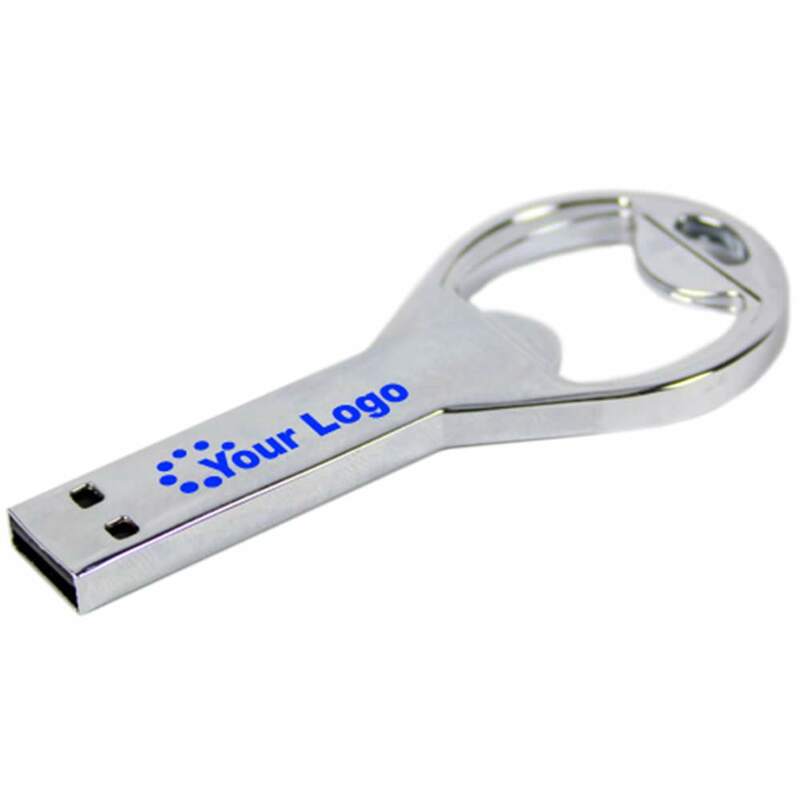 When you're at the right place at the right time the Brewski Bottle Opener Custom USB Flash drive is all you need make a lasting impression on your client's target market. Give client's the ability to connect their customers with the products they will love and use. 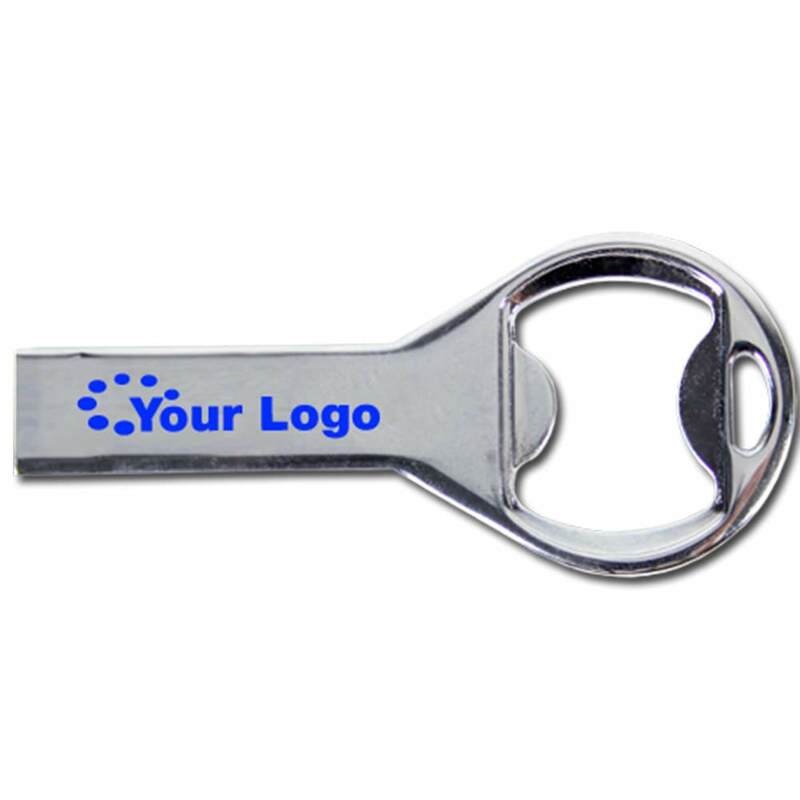 Choose between laser engraving or silkscreen printing your company’s logo on both sides of this chrome metal bottle opener. With free data preloading(up to 100MB) you can store important information about your company such as your website, your promotions, and your special brews on your USB drive. This bottle opener USB drive is perfect for beer lovers, breweries, sports bars, beer festivals, restaurants, catering services, and many more. The bottle opener isn't only for breweries and bar goers. It's an excellent branded USB that local festivals and small businesses can use to make great marketing opportunities. Give them the tools to take advantage of the right situation and make a strong impact on their target demographic. Remind customers about your business every time they open one of their favorite drinks. Partnered with our Premium Advantage you will receive free printing, free data preloading, free shipping, and a lifetime guarantee. 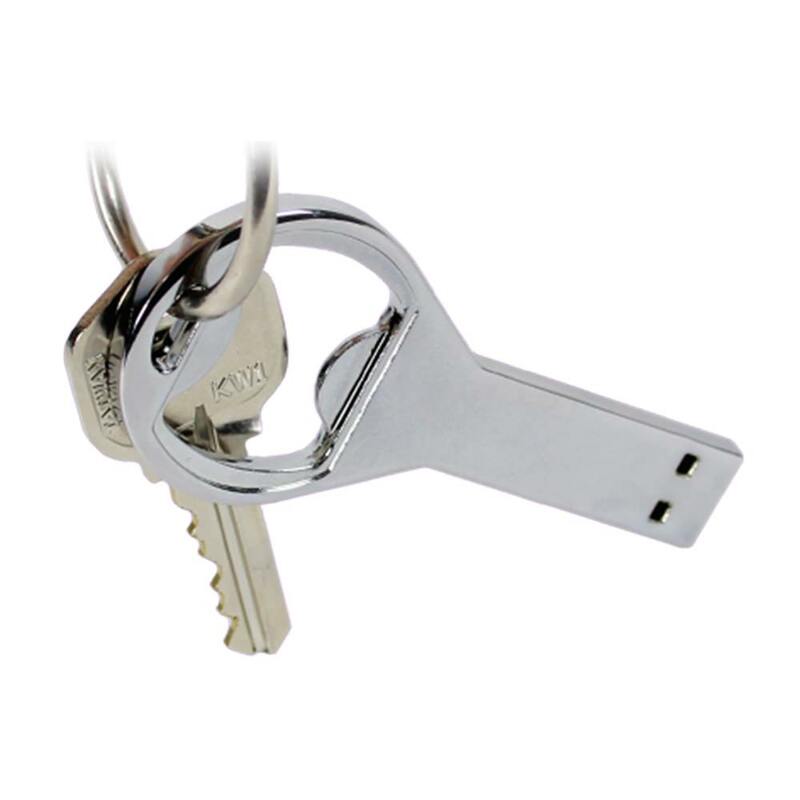 Make an impression on your clients with Premium USB, the USB experts.